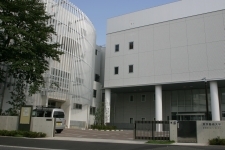 Senju Campus was established in 2006. On this campus is located the department of Musical Creativity and the Environment. Here also are located several courses of the Department of Musicology and Music Studies (Graduate School of Music). The campus has well-equipped facilities, such as a hall for performing arts, two recording studios with a control room for surround sound production, a sound production studio for audio and video recording/editing and a playroom with an adjoining observation room for music therapy research.